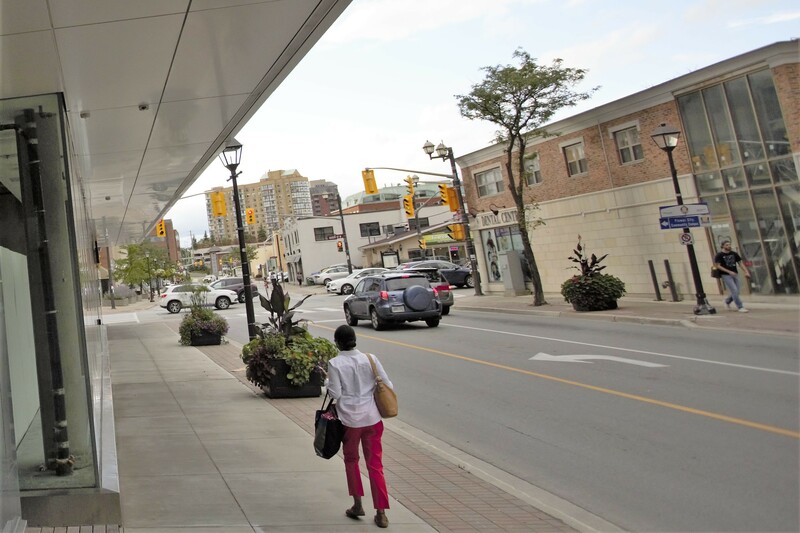 Just over a week ago the decision in an eight-year case against the City of Brampton alleging staff misconduct and bias in a procurement process was handed down by the Ontario Superior Court of Justice. John Sproat, a veteran judge who has handled many large cases in Peel, dismissed the allegations made by local builder Inzola, which had claimed in its 2011 lawsuit that the City treated the company unfairly when it awarded the contract for what was supposed to be a $500 million project to extend City Hall and revitalize the city’s withering downtown core. Inzola had been disqualified from the bidding process the year before, and Sproat ruled that its actions warranted the dismissal from the procurement competition. 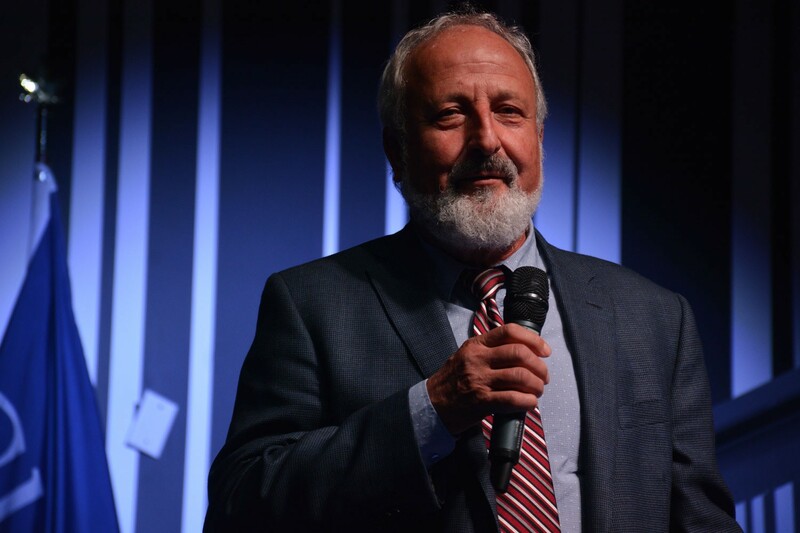 He also ruled that senior staff involved in the decision-making and former mayor Susan Fennell were not biased against Inzola, contrary to what the lawsuit alleged. But now, Brampton taxpayers and local officials are left wondering what to do about the evidence, the facts, that emerged in the case. Three former councillors testified that they would have halted the entire procurement process, called for the resignations of senior staff at the time, including the city’s treasurer and head of buildings and properties, and, in one case, retired councillor John Sprovieri told the court he would not have voted to proceed with the deal. The bid contract stated the city would not help proponents vying for the lucrative deal assemble land for their proposals. But that’s exactly what senior staff did, without council’s knowledge, when the $480,000 to secure land needed for the eventual winning proposal was handed over to Dominus quietly out of public view. Staff had told council both verbally and in a written report, before its crucial March 2011 vote, that the land required for a large downtown library, a key component of the revitalization plan, had been secured by Dominus. This was not true. And to this day there is no library. The city now owns the land, after it funded the $480,000 to secure it initially and later decided not to proceed with phase two and three of the proposed development. It was clear that council was not to find out about the arrangement to give Dominus the $480,000 in 2011. 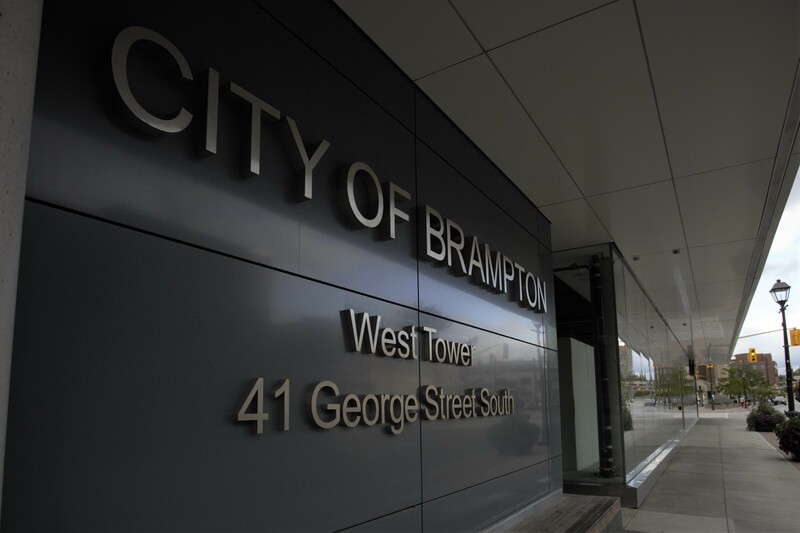 The trial revealed that on the city’s official requisition needed to trigger the transaction to withdraw the money from a City of Brampton account, under the description of what the money was being used for, staff had written, “Labour” costs. Councillors testified they only found out about the secretive arrangement years later, through the lawsuit. Fennell told the court she found out at the same time, despite documents the city was compelled to release by the court for the case that revealed Fennell signed the agreement to give Dominus the $480,000 in 2011. She has publicly stated she did not know what she was signing in 2011. Sproat ruled the conduct, along with other troubling behaviour by staff, was not relevant to the narrow set of evidence that had to be considered for his findings. 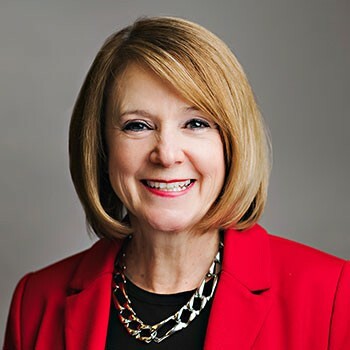 •The city manager at the time of the procurement, Deborah Dubenofsky, who was not supposed to be involved in decision-making, gave contradictory evidence about the role she played in the procurement. She first testified for a pre-trial motion in 2016 that she had a lesser role, then, after documents were produced showing some of her involvement, she admitted under oath during trial that her earlier evidence was “incorrect”. •Former city treasurer Mo Lewis admitted under oath that he gave “incorrect” information to council about key details of the property acquisition requirements under the procurement process, prior to their crucial March 2011 vote to either accept or reject the staff recommendation to select Dominus for the Deal. •Former head of buildings and properties Julian Patteson misled the court when he said earlier in the case under oath that Dominus paid for the $480,000. During the trial he denied misleading the court, explaining that Dominus technically transmitted the money to the property owner, even though the money was funded by the city, which quietly gave it to Dominus without council’s knowledge. •Some of the required administrative space for the City Hall extension appears not to have been built. 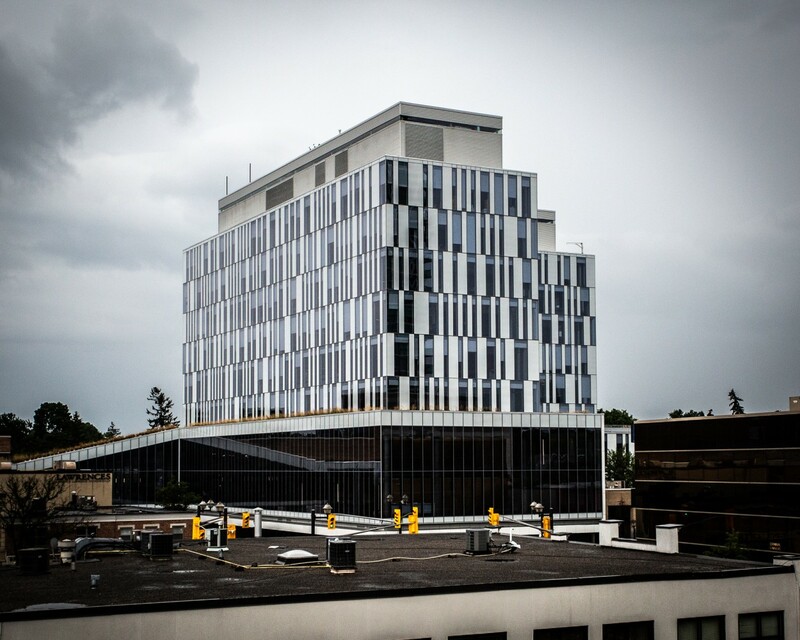 Staff were provided with a breakdown of the building after its completion that showed approximately 5,000 square feet for administrative space is located on the sub-surface floors where the parking garage is. During trial staff said they could not explain this, as there is no such space on those floors that are for parking. •The eventual $205 million price, including the lease cost, for the city hall extension is $95 million more than the $110 million price, including lease/finance costs submitted in the disqualified bid by Inzola, which proposed to build a slightly larger building. Councillors and residents have since 2011 questioned why the cost of the building is so high, but former staff maintained it was a fair price. What’s the lesson learned? The case was dismissed. Walk away. Nothing to see here. That’s what Hazel McCallion said in 2011 after a judge found she acted in a “real and apparent conflict of interest” while working behind the scenes to push a $1.6 billion development deal proposed by a company co-owned by her son. A limitation in the law did not allow for her removal from office and she was let off on the central complaint in the Judicial Inquiry that Mississauga Council launched into the former mayor’s dealings. But the evidence in the case, and Justice Douglas Cunningham’s scathing indictment of her behaviour, dismissing her claims under oath that she did not know her son was an owner of the company, proved crucial to the city’s future. McCallion’s reputation took a hit and her grip on the city and the way she had grown it under the influence of developers, began to loosen. 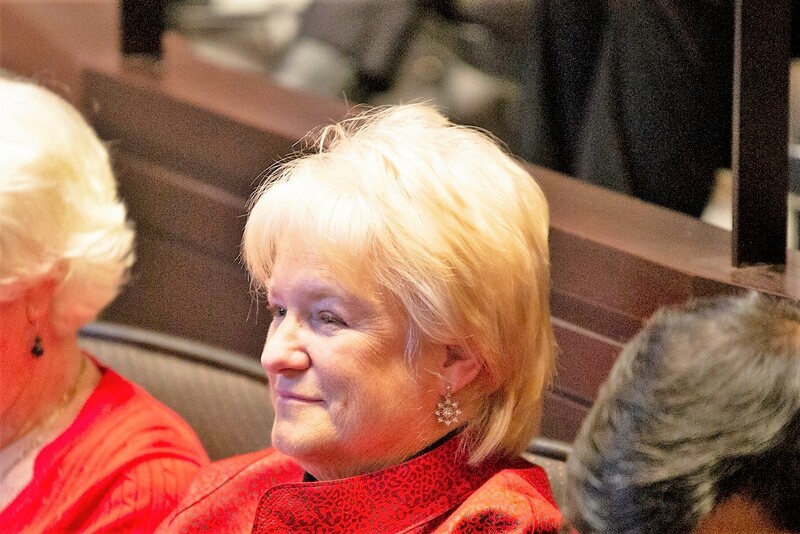 She didn’t run in the next election and Bonnie Crombie continued the progressive moves that began under the previous council which, under the guidance of fellow-member and former Mississauga MP Carolyn Parrish, had stood up to McCallion while voting for the judicial inquiry. Strict and sweeping oversight measures have been brought in. No longer would the city do things like issue illegal charitable tax receipts for donations to McCallion’s annual swanky private gala, which never was registered as a charity. Rules about lobbying by developers were introduced, after McCallion’s cozy decades-long relationship with the industry had earned her the nickname, “Queen of Sprawl”. And City Hall took on more of a big-city professional culture, which has led to billions of dollars in private sector investment and its elevation in status on the national stage as a major city with an impressive recent track-record of urban planning. It is now a North American example of how suburban cities can overcome the post-war era, developer driven, car-dominated sprawl, by investing in urban infrastructure and committing to sophisticated planning. Mississauga’s skyline has quickly become the GTA’s second attention-grabbing symbol of towering urbanism. Would it have happened if the old style of business, under McCallion, had continued? That’s the question Brampton needs to ask. The decision in the Inzola case went the city’s way. But it’s clear to anyone who followed, that unless a more professional culture inside City Hall emerges, the future will be bleak. Dubenofsky for years told council that no city funds went toward Fennell’s own swanky private gala, but after her contract wasn’t renewed in 2012, council learned that under her watch almost $175,000 of the taxpayers’ money was quietly spent to send senior city staffers to sip champagne with the former mayor. The trial revealed, after Dubenofsky claimed to have no involvement with Fennell’s gala, that the city manager obligated staff to attend, on the taxpayers’ dime, and that she used her connections with the provincial Conservatives to sell more high-priced tables for the mayor, whose events raised millions of dollars without producing financial statements for years. The questionable behaviour didn’t stop there. While Dubenofsky was the city’s top bureaucrat a secret bonus slush fund for non-union staff was created, without council’s knowledge. More than $1.25 million was secretly given to bureaucrats. The names of the recipients were never released. When the slush fund was revealed, Councillor Gurpreet Dhillon called it a “culture of misbehaviour” that had existed inside City Hall and former mayor Linda Jeffrey said the misconduct was “at best serious negligence, and at worst corruption.” Council sent the evidence to the police for an investigation for criminality, but no charges were laid as it was determined that nothing criminal was done. Many inside City Hall say the serious misconduct and unprofessional culture are part of the past. But even if the “serious misconduct” has finally been dealt with, it’s the “unprofessional culture”, not just in Brampton, but inside city halls across the country that is troubling to taxpayers who expect well paid municipal officials to protect the public who pay their salaries. Instead, a charged political atmosphere seems to be infecting municipal bureaucracies in many cities. Evidence in the Inzola case included numerous emails between Fennell and Dubenofsky that show how politicized the city manager’s behaviour was. A city manager or chief administrative officer, titles that are both used for a municipality’s top bureaucrat, who oversees the entire staff, is supposed to be completely independent of the locally elected officials who serve on council. Given the amount of influence a city manager has over all other employees, it’s crucial they remain impartial and only present factual information to council so the representatives of the taxpayers can make informed decisions on their behalf. That clearly was not happening in Brampton under Dubenofsky’s leadership, as revealed in the evidence during the Inzola case. Prior to the March 2011 council vote, when council had to either choose the staff’s recommended builder or discontinue the entire procurement process, emails show how Fennell and Dubenofsky worked together to get the outcome they desired. A city manager is supposed to work for all of council, equally, as a whole, to get them accurate information so they can make the best decisions for the city. This is the professional standard of behaviour that ensures City Hall functions effectively, free from political decision-making among public employees. Following an email from former councillor John Sanderson, regarding the scheduling of the crucial March 2011 special council meeting to vote to move on or stop the process, the evidence shows that Fennell forwarded his email to Dubenofsky. Sanderson was one of five councillors who did not support the deal. It eventually was approved in a 6-5 decision later on, with Fennell rising after everyone else to cast her vote in favour of the Dominus proposal. It was revealed through other emails produced for the lawsuit that Fennell and Dubenofsky had communicated about scheduling the council meeting while certain councillors who did not support the deal, would be away on March vacations. Just like an office culture that gets taken over by politics and negative personal feelings that prevent an organization’s overall goals from being reached, the same happens inside city halls. As Brampton has seen over recent years, the resulting tension in a highly charged political climate can lead to dysfunction and deeply problematic outcomes. Instead of a city moving forward, it gets stalled by inaction. Instead of progressive moves based on facts and sound considerations, bad decisions are made, fueled by personal interests, political goals and the desires of outside parties with an agenda. It’s not just Brampton that has suffered. On Wednesday, it was learned that a Calgary Sun newspaper column was leaked last year by someone within the media organization (the company, Postmedia, says the employee has been identified and appropriate action has been taken) who sent the piece to city staff before it was published. The column, which raised questions about the mysterious dismissal of a senior city employee, was leaked to a member of the city’s communications staff, who forwarded it to the city manager and the head solicitor. The city staffer who received the leaked column is a former Calgary Sun journalist. Again, these are all highly charged political acts concerning to a public that expects city hall to operate professionally in their best interest. Keeping tabs on journalists who are asking questions about decisions that are made away from public scrutiny is the sort of thing that happens in undemocratic countries, not in Canada. We hope. What if the columnist and the Calgary Sun had been sent a pre-emptive legal letter to stop publication of the concerns the journalist wanted to raise? Whose interests would that serve? In Niagara Region a little over a year ago, in another highly charged situation, a municipal affairs reporter with the St. Catharines Standard, Bill Sawchuk, who had recently uncovered stories about a feud between a councillor and the police chief and was stonewalled when trying to get expense records of councillors, had his laptop and notepad confiscated by staff, after they were left behind during a closed-session of a council meeting at the end of 2017. Councillors had also confiscated the material of another journalist at the same meeting. A few months earlier, in Brampton, former councillor Gael Miles was under siege, after her behind-the-scenes lobbying for the city’s purchase of a money losing golf club owned by a developer that had donated heavily to her campaigns and private fundraising initiatives, was uncovered by former Brampton Guardian City Hall reporter Peter Criscione. Miles moved a motion to make all media questions public, so before the publication of stories, journalists could be scrutinized about their motives and their reporting could be challenged. After a backlash, Miles withdrew her motion. All these examples point to the increasingly fraught dynamics within municipal government that can work against the goals of those who want to move cities forward. In Mississauga, when a judicial inquiry was launched in 2009 to probe the role of former mayor Hazel McCallion in a $1.6 billion downtown development deal proposed by a company co-owned by her son, widespread oversight was brought in after the case revealed disturbing conduct by McCallion and some staff. The judge presiding over the inquiry, Douglas Cunningham, ruled that McCallion violated common law principles and was in a “real and apparent conflict of interest” when she worked quietly behind the scenes to push the deal through. McCallion, despite signing documents that said her son was an owner of the company, claimed under oath that she never knew he was an owner. The judge rejected her claims. The inquiry also revealed that city staff did work on the project application by McCallion’s son, despite never receiving required fees. 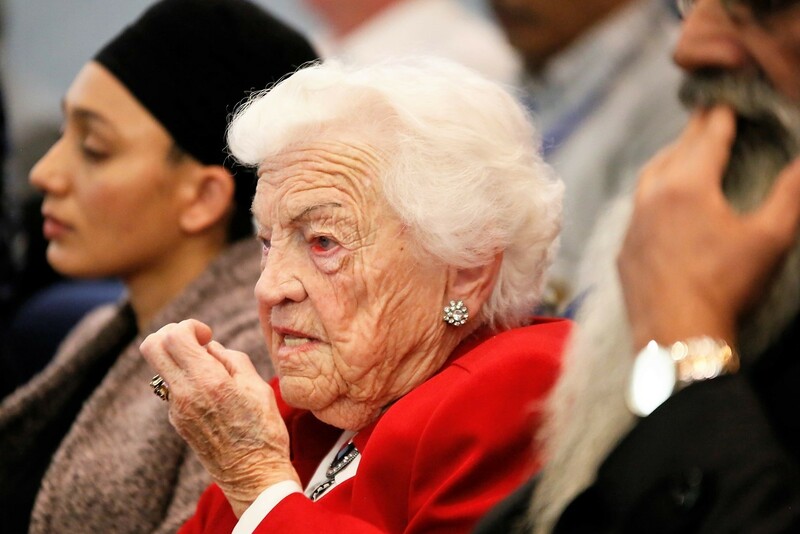 A staffer also inserted in minutes of a council meeting that McCallion had declared a conflict because the project was being discussed at the meeting, when evidence showed the former mayor had not declared a conflict at the meeting. There was other troubling evidence that raised questions about staff conduct, under political pressure to get a deal done. In Quebec, a number of municipal corruption schemes have been uncovered in the last seven years. Former Laval mayor Gilles Vaillancourt was sentenced to six years in jail in 2016 for demanding kickbacks from developers vying for municipal contracts. A year earlier Robert Poirier, former mayor of Boisbriand, Quebec, a suburb of Montreal, was found guilty on a dozen charges related to municipal corruption and was sentenced to 18 months in jail. An executive with a private firm that received numerous contracts through kickbacks was also found guilty in the case. The conduct of two successive Montreal mayors also raised questions about accountability at the municipal level. In 2012 Gérald Tremblay resigned following allegations of widespread kickbacks involved in the city’s contracts. He later testified before the Charbonneau Commission investigating widespread corruption in the awarding of public contracts in Quebec, that he had been oblivious to the widespread corruption inside City Hall. Then, his successor, former long-time councillor Michael Applebaum, was arrested at his home in 2013 and later sentenced to 12 months jail time on municipal corruption and conspiracy charges involving real estate and development firms. It would have been impossible to conduct some of the corrupt activities inside the various city halls without the participation of staffers. Closer to home, in Halton, the regional government’s former public works manager, Nicolas Rewa, was sentenced last year to three years in prison after he fraudulently awarded false contracts worth $770,000 that he used to buy a house. His corruption was uncovered after police began investigating another Halton municipal employee, manager David Ohashi, who was charged in 2016 with fraud and corruption after allegedly receiving a Mercedes, a trip to Las Vegas and other kickbacks for awarding contracts to companies. In Brampton, following the Inzola lawsuit, some increased accountability was introduced. A lobbyist registry was brought in and reporting rules for staff that were discontinued under Dubenofsky have been reinstated. But there’s still an accountability gap. Unlike other municipalities, there is no internal auditor general, a key watchdog role that provides oversight of staff. The previous council voted the idea down after former mayor Linda Jeffrey tried unsuccessfully to add another level of accountability. A new council under Mayor Patrick Brown will set the tone inside City Hall and residents will watch to see if lessons from the past have been learned. Consensus should be reached through debate, not by using political pressure and independent staff to do the bidding of council members. The Inzola case was dismissed, allowing the City of Brampton to move on after the lawsuit hung over City Hall for almost eight years. The ruling on a narrow part of the evidence dealing with specifics of the procurement contract’s technicalities, came down in favour of the city, exonerating staff and former mayor Susan Fennell. Most of the former employees involved in the case are no longer with the city. But it remains to be seen, eight years after the downtown re-development contract was awarded in a swirl of controversy, what the legacy of the entire saga will be. There is still no library. The company that built the City Hall extension walked away from its long-term commitment and the downtown core is still in dire need of a face lift. Evidence revealed through the case should serve as a reminder to city officials and taxpayers that accountability inside City Hall is the only way to avoid reputational damage to Brampton and another harmful controversy that could again set the city back for years.